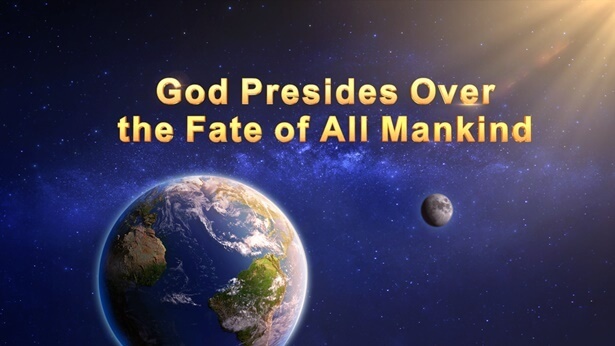 During the Age of Law, the work of guiding mankind was done under the name of Jehovah, and the first stage of work was initiated on earth. At this stage, the work consisted of building the temple and the altar, and using the law to guide the people of Israel and to work in their midst. By guiding the people of Israel, He launched a base for His work on earth. From this base, He expanded His work beyond Israel, which is to say that, starting from Israel, He extended His work outward, so that later generations gradually came to know that Jehovah was God, and that it was Jehovah who created the heavens and earth and all things, and that it was Jehovah who made all creatures. He spread His work through the people of Israel outward beyond them. The land of Israel was the first holy place of Jehovah’s work on earth, and it was in the land of Israel that God first went to work on earth. That was the work of the Age of Law. In the beginning, guiding man during the Old Testament Age of Law was like guiding the life of a child. Earliest mankind was newly born of Jehovah; they were the Israelites. They had no understanding of how to revere God or how to live on earth. Which is to say, Jehovah created mankind, that is, He created Adam and Eve, but He did not give them the faculties to understand how to revere Jehovah or follow the laws of Jehovah on earth. Without the direct guidance of Jehovah, no one could know this directly, for in the beginning man did not possess such faculties. Man only knew that Jehovah was God, but as for how to revere Him, what kind of conduct could be called revering Him, with what kind of mind one was to revere Him, or what to offer up in reverence of Him: man had absolutely no idea. Man only knew how to enjoy that which could be enjoyed among all the things created by Jehovah, but regarding what kind of life on earth was worthy of a creature of God, he had no inkling whatsoever. Without someone to instruct them, without someone to guide them personally, this mankind would never have led a life properly befitting humanity, but would only have been furtively held captive by Satan. Jehovah created mankind, that is to say, He created the ancestors of mankind, Eve and Adam, but He did not bestow upon them any further intellect or wisdom. Although they were already living on earth, they understood almost nothing. And so, Jehovah’s work in creating mankind was only half finished, and was far from complete. He had only formed a model of man from clay and given it His breath, but without bestowing unto man sufficient willingness to revere Him. In the beginning, man was not of a mind to revere Him, or to fear Him. Man only knew how to listen to His words but was ignorant of the basic knowledge for life on earth and of the proper rules of human life. And so, although Jehovah created man and woman and finished the project of seven days, He by no means completed the creation of man, for man was but a husk, and lacked the reality of being human. Man only knew that it was Jehovah who had created mankind, but he had no inkling of how to abide by the words or the laws of Jehovah. And so, after mankind came into being, the work of Jehovah was far from over. He still had to fully guide mankind to come before Him, so that they might be able to live together on earth and revere Him, and so that they might be able, with His guidance, to enter upon the right track of a normal human life on earth. Only then was the work that had been principally conducted under the name of Jehovah fully completed; that is, only then was Jehovah’s work of creating the world fully concluded. And so, having created mankind, He had to guide mankind’s life on earth for several thousand years, in order that mankind might be able to abide by His decrees and laws, and partake in all the activities of a normal human life on earth. Only then was Jehovah’s work fully complete. The first Israelites were the descendants of Noah. These people were endowed only with the breath of Jehovah, and understood enough to take care of the basic necessities of life, but they did not know what kind of a God Jehovah was, or His will for man, much less how they should revere the Lord of all creation. As for whether there were rules and laws to be obeyed, and whether there was work that created beings should do for the Creator: Adam’s descendants knew nothing of these things. All they knew was that the husband should sweat and labor to provide for his family, and that the wife should submit to her husband and perpetuate the race of humans that Jehovah had created. In other words, this people, who had only Jehovah’s breath and His life, knew nothing of how to follow God’s laws or how to satisfy the Lord of all creation. They understood far too little. So even though there was nothing crooked or deceitful in their hearts and jealousy and contention seldom arose among them, nevertheless they had no knowledge or understanding of Jehovah, the Lord of all creation. These ancestors of man knew only to eat the things of Jehovah, and to enjoy the things of Jehovah, but they did not know to revere Jehovah; they did not know that Jehovah is the One they should worship on bended knee. So how could they be called His creatures? If this were so, what of the words, “Jehovah is the Lord of all creation” and “He created man in order that man might manifest Him, glorify Him, and represent Him”—would they not have been spoken in vain? How could people who have no reverence for Jehovah become a testimony to His glory? How could they become manifestations of His glory? Would not Jehovah’s words “I created man in My image” then become a weapon in the hands of Satan—the evil one? Would these words not then become a mark of humiliation to Jehovah’s creation of man? In order to complete that stage of work, Jehovah, after creating mankind, did not instruct or guide them from the time of Adam to that of Noah. Rather, it was not until after the flood destroyed the world that He formally began to guide the Israelites, who were the descendants of Noah and also of Adam. His work and utterances in Israel gave guidance to all the people of Israel as they lived their lives throughout the land of Israel, and in this way showed humanity that Jehovah was not only able to blow breath into man, that he might have life from Him and rise up from the dust into a created human being, but that He could also incinerate mankind, and curse mankind, and use His rod to govern mankind. So, too, did they see that Jehovah could guide man’s life on earth, and speak and work among humanity according to the hours of the day and of the night. He did the work only so that His creatures might know that man came from dust picked up by Him, and moreover that man had been made by Him. Not only this, but the work He began in Israel was meant so that other peoples and nations (who in fact were not separate from Israel, but rather had branched off from the Israelites, yet were still descended from Adam and Eve) might receive the gospel of Jehovah from Israel, so that all created beings in the universe might be able to revere Jehovah and hold Him to be great. Had Jehovah not begun His work in Israel, but instead, having created mankind, let them live carefree lives on the earth, then in that case, owing to man’s physical nature (nature means that man can never know the things he cannot see, which is to say that he would not know that it was Jehovah who created mankind, and even less why He did so), he would never know that it was Jehovah who created mankind or that He is the Lord of all creation. If Jehovah had created man and placed him on the earth to be an object for His own enjoyment, and then simply dusted off His hands and left, rather than remaining among mankind to give them guidance for a period of time, then in that case all humanity would have returned to nothingness; even heaven and earth and all the myriad things of His making, and all of humanity, would have returned to nothingness and moreover have been trampled upon by Satan. In this way Jehovah’s wish that “On the earth, that is, in the midst of His creation, He should have a place to stand, a holy place” would have been shattered. And so, after creating mankind, that He was able to remain in their midst to guide them in their lives, and speak to them from within their midst, all this was in order to realize His desire, and to achieve His plan. The work He did in Israel was meant only to execute the plan He had set in place before His creation of all things, and therefore His working first among the Israelites and His creation of all things were not at odds with each other, but were both for the sake of His management, His work, and His glory, and also in order to deepen the meaning of His creation of mankind. He guided the life of mankind on earth for two thousand years after Noah, during which He taught humanity to understand how to revere Jehovah the Lord of all creation, how to conduct their lives and how to go on living, and most of all, how to act as a witness for Jehovah, render Him obedience, and give Him reverence, even praising Him with music as did David and his priests. Prior to the two thousand years during which Jehovah did His work, man knew nothing, and almost all humanity had fallen into depravity, until, before the destruction of the world by the flood, they had reached a depth of promiscuity and corruption in which their hearts were empty of Jehovah, and even emptier of His way. They never understood the work Jehovah was going to do; they lacked reason, had even less of knowledge, and, like a machine that breathes, were consummately ignorant of man, God, the world, life and alike. On earth they engaged in many seductions, like the serpent, and said many things that were offensive to Jehovah, but because they were ignorant Jehovah did not chastise or discipline them. Only after the flood, when Noah was 601 years old, did Jehovah formally appear to Noah and guide him and his family, leading the birds and beasts that had survived the flood along with Noah and his descendants, until the end of the Age of Law, in all 2,500 years. He was at work in Israel, that is, formally at work, for a total of 2,000 years, and at work simultaneously in Israel and outside of it for 500 years, together making 2,500 years. During this period, He instructed the Israelites that to serve Jehovah, they should build a temple, put on priestly robes, and walk barefoot into the temple at dawn, lest their shoes sully the temple and the fire be sent down on them from the top of the temple and burn them to death. They carried out their duties and submitted to Jehovah’s plans. They prayed to Jehovah in the temple, and after receiving Jehovah’s revelation, that is, after Jehovah had spoken, they led the multitudes and taught them that they should show reverence to Jehovah—their God. And Jehovah told them that they should build a temple and an altar, and at the time set by Jehovah, that is, on Passover, they should prepare newborn calves and lambs to place on the altar as sacrifices to serve Jehovah, so as to restrain them and put reverence for Jehovah in their hearts. Whether they obeyed this law became the measure of their loyalty to Jehovah. Jehovah also ordained the Sabbath day for them, the seventh day of His creation. The day after the Sabbath He made the first day, a day for them to praise Jehovah, to offer Him sacrifices, and to make music for Him. On this day, Jehovah called together all the priests to divide the sacrifices on the altar for the people to eat, so that they could enjoy the sacrifices on Jehovah’s altar. And Jehovah said that they were blessed, that they shared a portion with Him, and that they were His chosen people (which was Jehovah’s covenant with the Israelites). This is why, up to this day, the people of Israel still say that Jehovah is only their God, and not the God of other peoples. During the Age of Law, Jehovah laid down many commandments for Moses to pass on to the Israelites who followed him out of Egypt. These commandments were given by Jehovah to the Israelites, and bore no relation to the Egyptians; they were meant to restrain the Israelites. God used the commandments to demand of them. Whether they observed the Sabbath, whether they respected their parents, whether they worshiped idols, and so forth: these were the principles by which they were judged sinful or righteous. Among them, there were some who were stricken by Jehovah’s fire, some who were stoned to death, and some who received Jehovah’s blessing, and this was determined according to whether or not they obeyed these commandments. Those who did not observe the Sabbath would be stoned to death. Those priests who did not observe the Sabbath would be stricken by Jehovah’s fire. Those who did not show respect to their parents would also be stoned to death. This was all commended by Jehovah. Jehovah established His commandments and laws so that, as He led them in their lives, the people would listen to and obey His word and not rebel against Him. He used these laws to keep the newborn human race under control, the better to lay the foundation for His future work. And so, based on the work that Jehovah did, the first age was called the Age of Law. Though Jehovah made many utterances and did much work, He only guided the people positively, teaching these ignorant people how to be human, how to live, how to understand Jehovah’s way. For the most part, the work He did was to cause the people to observe His way and follow His laws. The work was done on people who were shallowly corrupted; it did not extend as far as transforming their disposition or progress in life. He was only concerned with using laws to restrict and control the people. For the Israelites at that time, Jehovah was merely a God in the temple, a God in the heavens. He was a pillar of cloud, a pillar of fire. All Jehovah required them to do was obey what people today know as His laws and commandments—one could even say rules—because what Jehovah did was not meant to transform them, but to give them more things that man ought to have, to instruct them from His own mouth, because after being created, man had nothing about what he ought to possess. And so, Jehovah gave to the people the things they ought to possess for their lives on earth, making the people that He had led surpass their ancestors, Adam and Eve, because what Jehovah gave them surpassed what He had given Adam and Eve in the beginning. Regardless, the work Jehovah did in Israel was only to guide humanity and make humanity recognize their Creator. He did not conquer them or transform them, but merely guided them. This is the sum of Jehovah’s work in the Age of Law. It is the background, the true story, the essence of His work in the whole land of Israel, and the beginning of His six thousand years of work—to keep mankind under the control of Jehovah’s hand. Out of this was born more work in His six-thousand-year management plan. The first stage was the work of Jehovah to pave a path for man to worship God on earth. It was the work of commencement to find the source of work on earth. At that time, Jehovah taught the Israelites to observe the Sabbath, respect their parents and live peaceably with others. Since men of that time did not understand what constituted man, nor did they understand how to live on earth, it was necessary for Him in the first stage of work to lead men in their lives. All that Jehovah spoke to them had not previously been known to mankind or been in their possession. At that time many prophets were raised up to speak of prophecies, all made under the leadership of Jehovah. This was simply a part of the work. In the first stage, God did not become flesh, so He spoke to all tribes and nations through the prophets. … What was the substance of the words uttered by Jehovah? He was only leading man in their lives on earth, which was not involved with spiritual matters in life. Why is it said that the words of Jehovah were proclaimed unto all places? The word “proclaimed” refers to giving clear explanations and direct instruction. He did not supply man with life; rather, He simply took man by the hand and taught man how to revere Him. There were no parables. The work of Jehovah in Israel was not to deal with or discipline man or to deliver judgment and chastisement; it was to lead. Jehovah asked Moses to tell His people to gather manna in the wilderness. Every morning before sunrise, they were to gather manna, only enough to be eaten that day. The manna could not be kept until the next day, as it would then become moldy. He did not teach man or reveal their natures, and He did not reveal their ideas and thoughts. He did not change man but led them in their lives. In that time, man was like a child; man understood nothing and could only make basic mechanical movements; therefore, Jehovah only decreed laws to lead the people. The work done in Israel is vastly different from today’s work. Jehovah guided their lives but did not judge or chastise as much as what is done now because at the time, people understood too little of the things of the world and had few corrupt dispositions. At that time, the Israelites were obedient to Jehovah in every way. When He had them build an altar they would rush to do so, and when He had them wear the robes of priests they would obey. At the time Jehovah was just like their shepherd herding a flock of sheep on earth, and the sheep all followed where the shepherd led to eat grass in the pasture. Jehovah guided their lives; He was the guide for their food, clothing, shelter, and transportation. The people in Israel all called Jehovah their Lord. At the time, they considered Him the head of their family, and the whole of Israel became a great family in which everyone worshiped their Lord Jehovah. The Spirit of Jehovah often appeared to them, and He spoke and uttered His voice to them, and used a pillar of cloud and sound to guide their lives. At that time, the Spirit provided His guidance in Israel directly, speaking and uttering His voice to the people, and they beheld the clouds and heard the peals of thunder, and in this way He guided their lives for several thousands of years. Thus, only the people of Israel have always worshiped Jehovah. They believe that Jehovah is their God, and is not the God of the Gentiles. This isn’t surprising: Jehovah, after all, had worked among them for close to 4,000 years. At that time, Israelites served Jehovah directly in the temple. Their identity was that of priest. (Of course not every person was a priest. Only some who served Jehovah in the temple had the identity of priests.) They would wear crowns that Jehovah gave to them (which means that they made the crowns according to Jehovah’s requirements, not that Jehovah gave the crowns directly to them) and in their priestly robes that Jehovah gave them they would enter the temple barefoot to serve Jehovah directly, from morning until night. Their service to Jehovah was not at all haphazard or transgressing at will; it was all according to rules, which no one who directly served Jehovah could violate. They all must abide by these rules; otherwise, entrance into the temple was forbidden. If any of them broke the rules of the temple, that is, if anyone disobeyed the commands of Jehovah, they must be treated according to the laws issued by Jehovah, with no one being allowed to object, and no one being allowed to protect them. No matter how many years they had served God, all must abide by the rules. This is why so many priests all along donned the priestly robes and served Jehovah this way all year round, although Jehovah did not give them any special treatment, and they would even go before the altar or in the temple their whole life long. Such was their loyalty and their submission. No wonder that Jehovah blessed them in this way; it was all due to their loyalty that they received favor and saw all of Jehovah’s deeds. At that time when Jehovah worked in Israel, His chosen people, His demands on them were very severe. They were all very obedient and were restricted by the laws, which served to safeguard that they would revere Jehovah. All these were the administrative decrees of Jehovah. If among those priests there was anyone who did not keep the Sabbath or who violated Jehovah’s commandments and was discovered by the common people, the person would be carried immediately before the altar and stoned to death, thereby being sacrificed before the “profane people’s altar” that Jehovah had set up. It was not allowed to place their corpses in the temple or around the temple. Jehovah did not permit that. If someone did that, they would be treated as ones who offer “profane sacrifices,” and thrown into the large pit and put to death. Of course, all such people would lose their lives, none left alive. There were even some who offered “profane fire,” in other words, those people who did not sacrifice on the days allotted by Jehovah would be burned by Jehovah’s fire with their sacrificial items, not allowed to remain on the altar. The requirements on the priests were: not allowed to enter the temple, and even the outer courtyard of the temple, without first washing their feet; no entry to the temple if not wearing the priestly robes; no entry to the temple if not wearing the priestly crowns; no entry to the temple if soiled by a corpse; no entry to the temple after touching the hand of an unrighteous person without first washing one’s own hands; no entry to the temple after sexual relations with women (this was not forever, only for three months), not allowed to see Jehovah’s face, when the time was up, which means that only after three months would they be allowed to don clean priestly robes, and serve in the outer courtyard for seven days before being able to enter the temple to see Jehovah’s face; they were permitted to wear all of the priestly attire only within the temple and not allowed to wear it outside of the temple, so as to avoid sullying Jehovah’s temple; all those who were priests must bring criminals who have violated Jehovah’s laws in front of the altar of Jehovah where they would be put to death by the common people, otherwise fire would fall upon the priest who saw it. Thus they were unfailingly loyal to Jehovah, because the laws of Jehovah were too severe upon them, and they would absolutely not dare to casually violate His administrative decrees. The Israelites were loyal to Jehovah because they had seen His flame, had seen the hand with which Jehovah chastised people, and also because they originally revered Jehovah in their hearts. Therefore what they obtained was not only Jehovah’s flame; they also gained care and protection from Jehovah, and obtained Jehovah’s blessing. Their loyalty was that they abided by Jehovah’s words in what they did, without anyone disobeying. Should someone disobey, the people would still carry out Jehovah’s words, and put them to death who went against Jehovah, without any leeway for concealment. Especially those who violated the Sabbath, those guilty of promiscuity, and those who stole offerings to Jehovah would be punished more severely. The ones who violated the Sabbath were stoned to death by them (the common people), or they were whipped to death, with no exceptions. Those who committed acts of lechery, even those who lusted after an attractive woman, or who gave rise to lecherous thoughts upon seeing a wicked woman, or who became lustful upon seeing a young woman—all this sort of person would be put to death. If any young woman who did not wear a covering or a veil tempted a man into illicit conduct, that woman would be put to death. If it was a priest (those persons who served in the temple) who violated laws of this sort, he would be crucified or hung. No person of this sort would be allowed to live, and not a single one would find favor before Jehovah. The relatives of this kind of person would not be allowed to offer sacrifices to Jehovah before the altar for three years after his death, and they would not be allowed to share the sacrifices that Jehovah granted to the common people. Only when the time was over could they place first-class cattle or sheep upon Jehovah’s altar. If there was any other transgression, they must fast for three days in front of Jehovah, supplicating for His grace. Their worship of Jehovah was not only because Jehovah’s laws were so severe and so strict; rather it was because of Jehovah’s grace, and it was also because they were loyal to Jehovah. As such, their service up until today has been similarly loyal, and they have never gone back on their supplications before Jehovah. In the present day the people of Israel still receive the care and protection of Jehovah, and up until today Jehovah still is the grace among them, and always abides with them.